Hey guys! loveshorses5 here, aka mairin! My twin sister and cofounder is ilovebears9, Gwen, and we are so excited to be creating this blog! 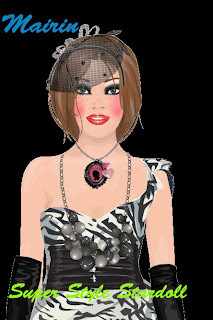 As i flip through stardoll pages, i see some noticeable user outfits that deserve to be seen~ so that is what this blog is all about! We are looking for writers with EXPERIANCE on stardoll- sorry for any inconvienance! It is pretty much a honor to be featured on this blog! I love to draw-fashions and wildlife! When i grow up, i want to be a fashion designer! Thats all for now, but FOLLOW this blog! And make your outfits pretty!